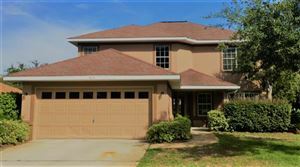 Click Here to see Seaside Home for Sale! Seaside being one of the first cities in America designed on the principles of New Urbanism, the town has become the topic of slide lectures in architectural schools and in housing-industry magazines, and is visited by design professionals from all over the United States. The town rose to global fame as being the main filming location of the movie The Truman Show. On April 18, 2012, the American Institute of Architects's Florida Chapter placed the community on its list of Florida Architecture. The homes in Seaside are colorful and different, ranging from styles such as Victorian, Neoclassical, Modern, Postmodern and Deconstructivism. Seaside includes buildings by architects such as Léon Krier, Robert A. M. Stern, Steven Holl, Machado and Silvetti Associates, Deborah Berke, Walter Chatham, Daniel Solomon, Jeff Margaretten, Alex Gorlin, Aldo Rossi, Michael McDonough, Samuel Mockbee. You can search below to find your little piece of Seaside history and relaxation.